CascadiaNow! 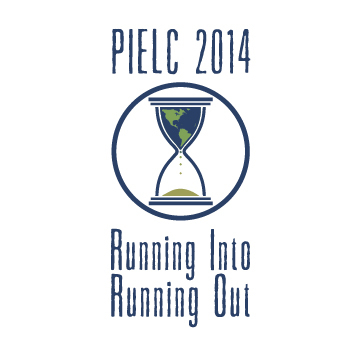 tabled and participated in the Public Interest Environmental Law Conferece (PIELC) – one of the longest running such conferences in the United States – at the University of Oregon in Eugene. Keynote speakers included Green Party presidential candidate Jill Stein, former Director of NASA Institute for Space Studies Dr. James Hansen, founding member of Native Youth Movement Heather Milton-Lightening, and many many more. CascadiaNow! was excited to have one of our sitting board members, Emmalyn Garrett, help organize and join a panel discussion on Cascadia Against Empire: Bioregional Organizing in which they discussed the history of grassroots organizing around Cascadian bioregionalism, as well as challenges currently facing the movement. Panelists included Cathasaigh O’Corcrain, Co-editor Autonomy Cascadia: A Journal of Bioregional Decolonization (and producer of Occupied Cascadia by Cascadia Matters); Alexander Reid Ross, Journal Editorial Collective Member, Earth First! ; Kayla Godowa Tufti, Member Confederated Tribes of Warm Springs, Contributing Writer, Eugene Weekly; Paul Roland, Activist, Earth First!, and Organizer, Cascadia Now! Portland Chapter; Emmalyn Garrett, Board Member, Cascadia Now!, Cascadia Branch Portland.